Jobseekers (Get head hunted in 2019 - 7000 positions filled in 2018): Subscribe to 3 Months Value Membership and Resume Broadcast Service. Recruiters: Post your jobs! 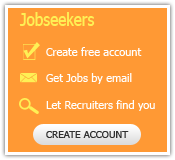 Our next Jobs newsletter goes on 26th April 2019 (Friday) to 452,000 jobseekers. Hurry! 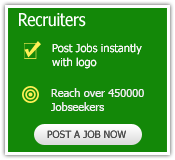 Indian and International Development, NGO, Aid, Environment, Health, UN, CSR Jobs and Consultancies. Join us!